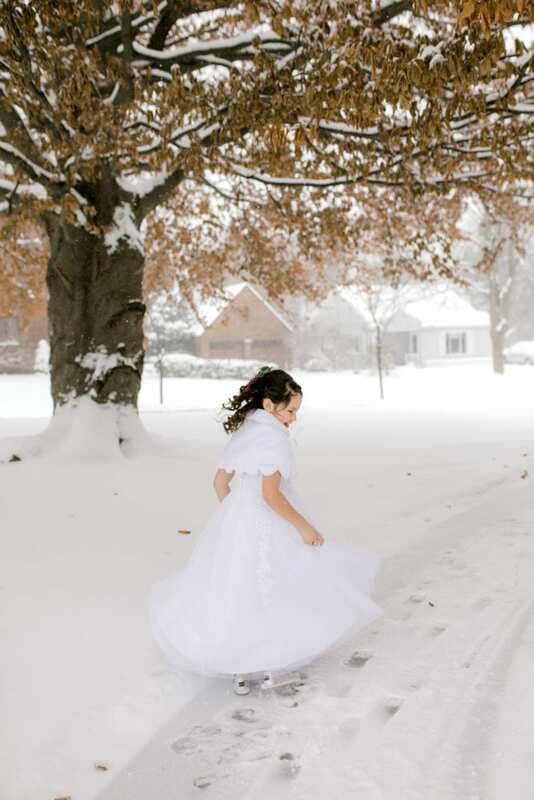 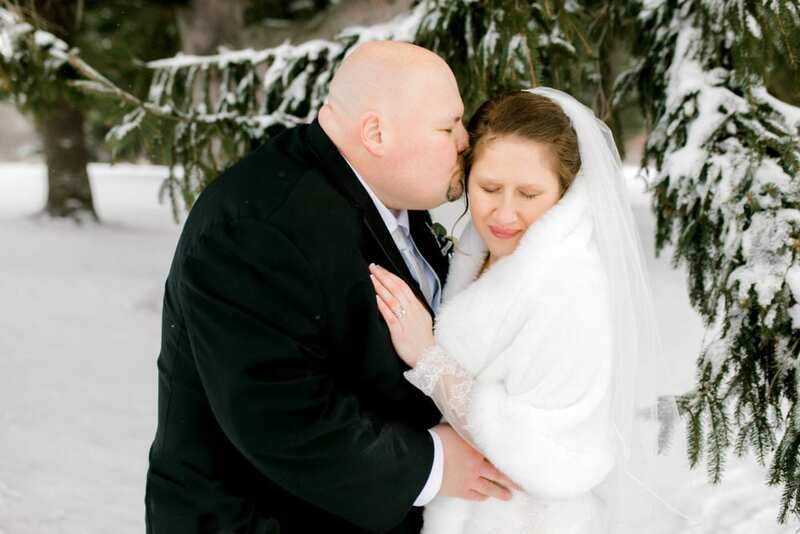 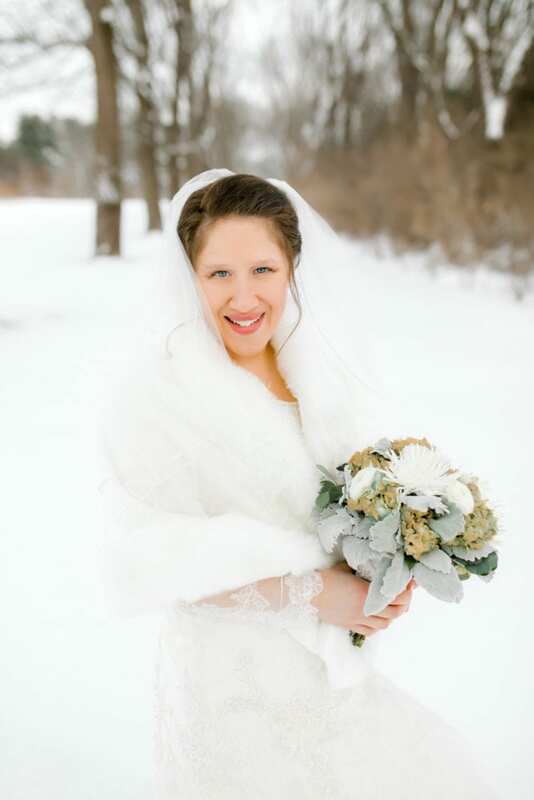 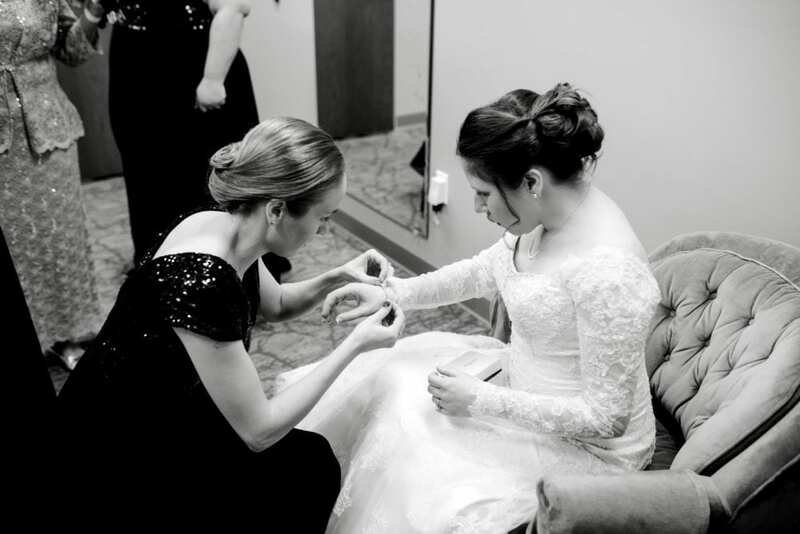 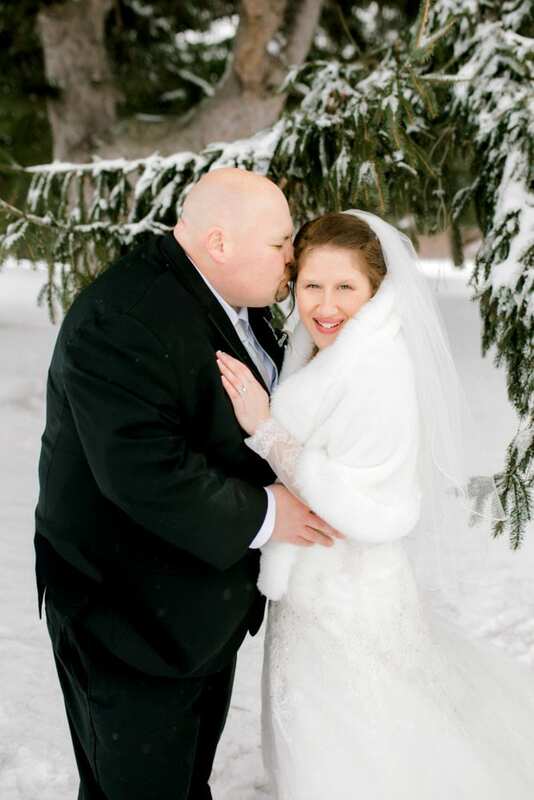 When Jill first e-mailed me and asked if I had ever photographed a winter wedding, my heart did a little flutter! 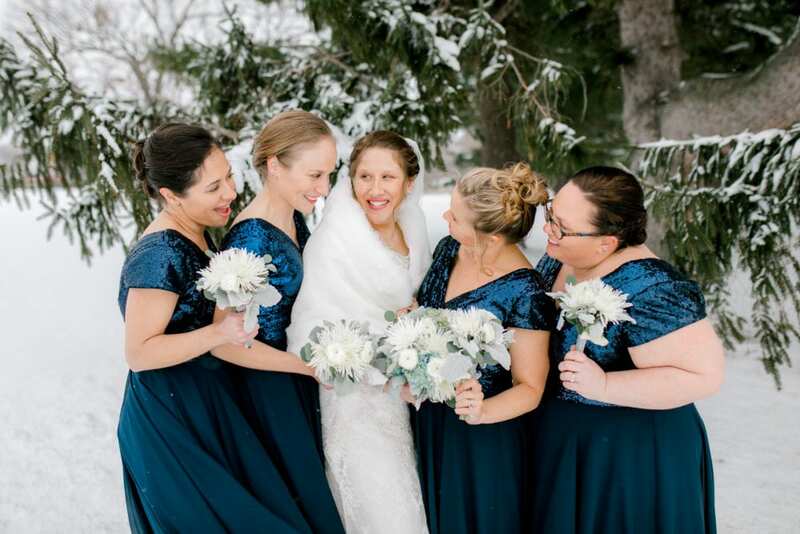 I told her I hadn’t but that I had done my fair share of winter sessions and would be ecstatic to take on snow filled January wedding! 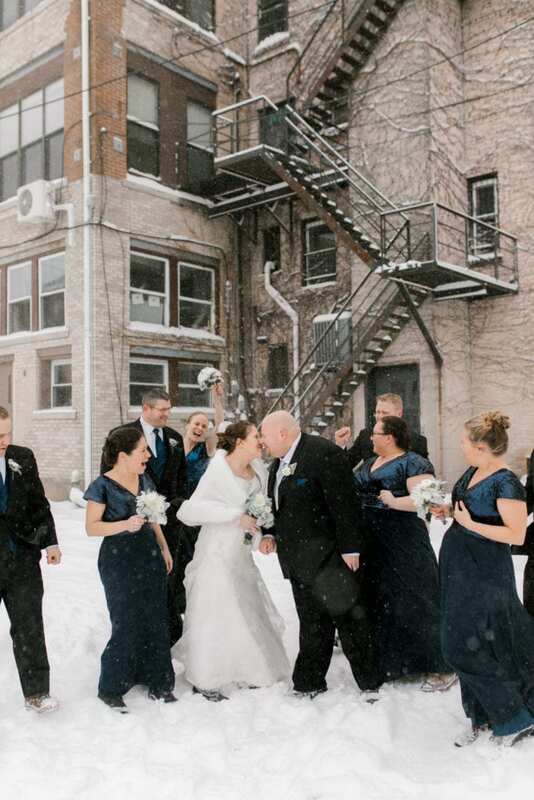 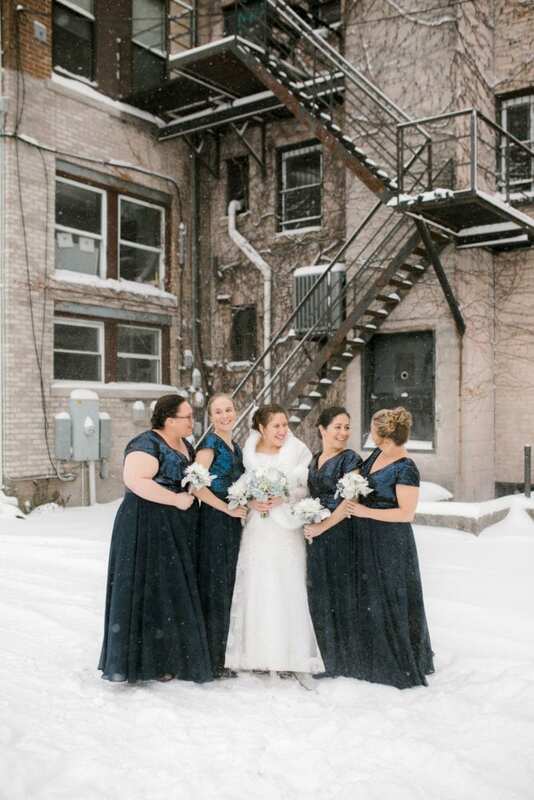 In the weeks leading up to her wedding I was a little worried we wouldn’t have a white wedding after all- Michigan couldn’t even deliver a white Christmas! 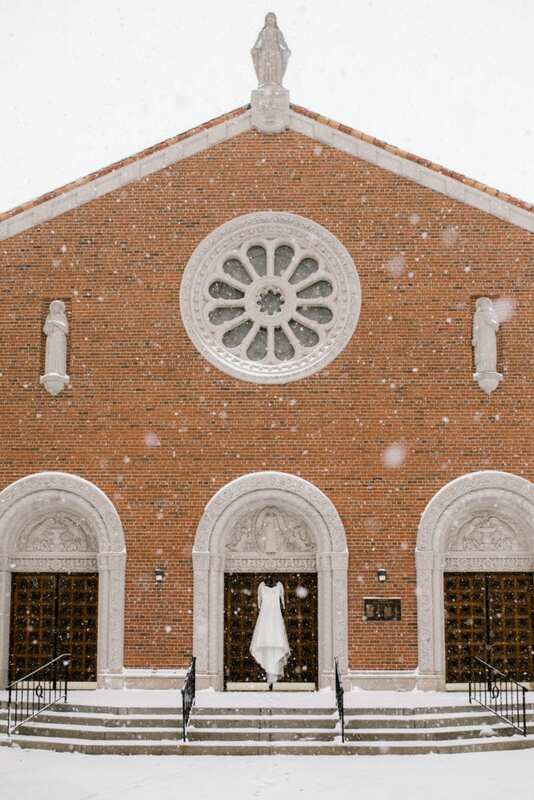 Without fail, Mother Nature didn’t disappoint & Friday evening the snow started. 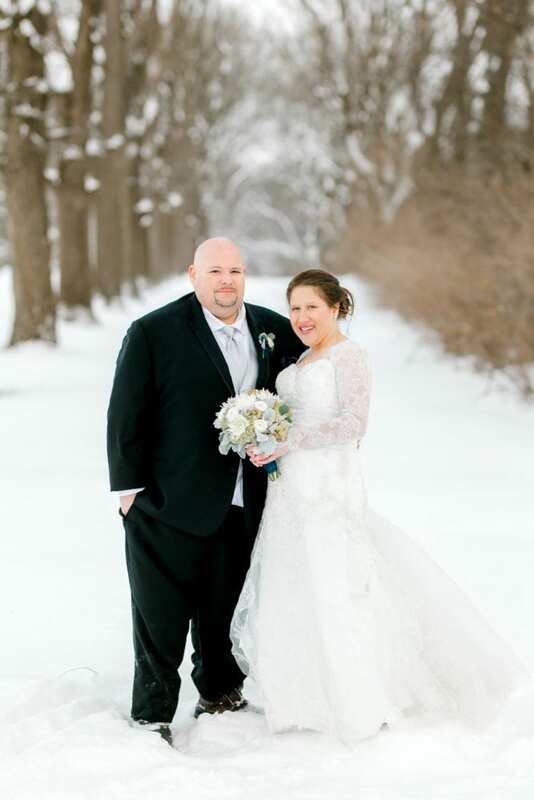 What a beautiful backdrop the winter storm gave us! 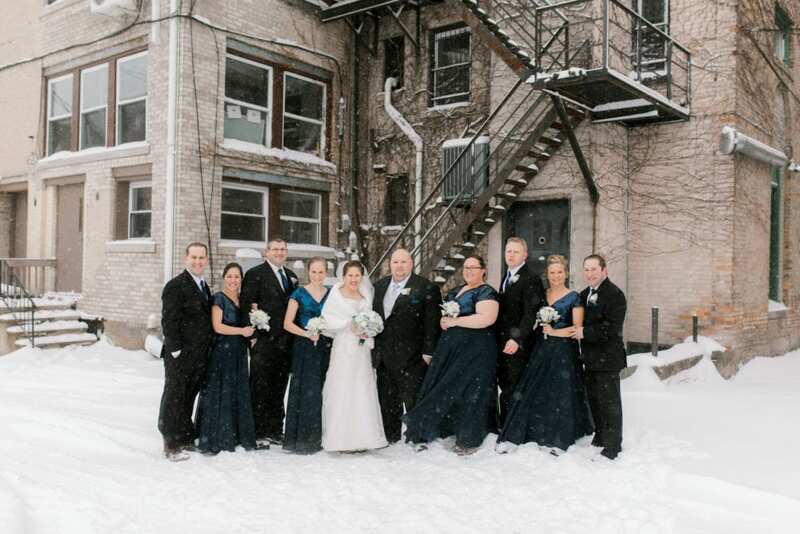 Jill, John & their entire wedding party were absolutely incredible, braving the cold, gust wind. 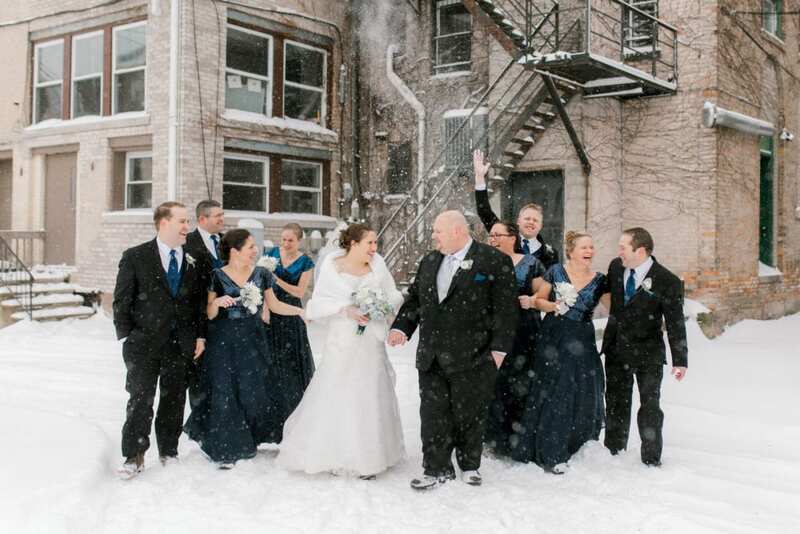 Not one person complained about being cold & I’m here to tell you, it was cold! 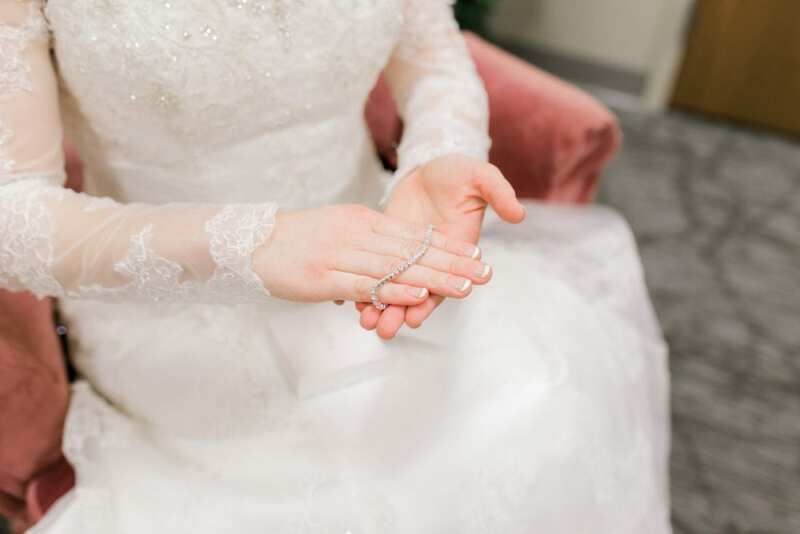 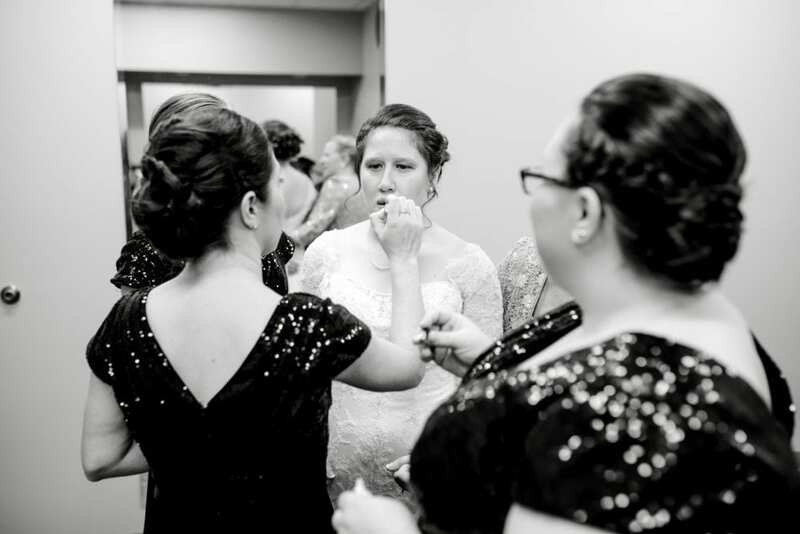 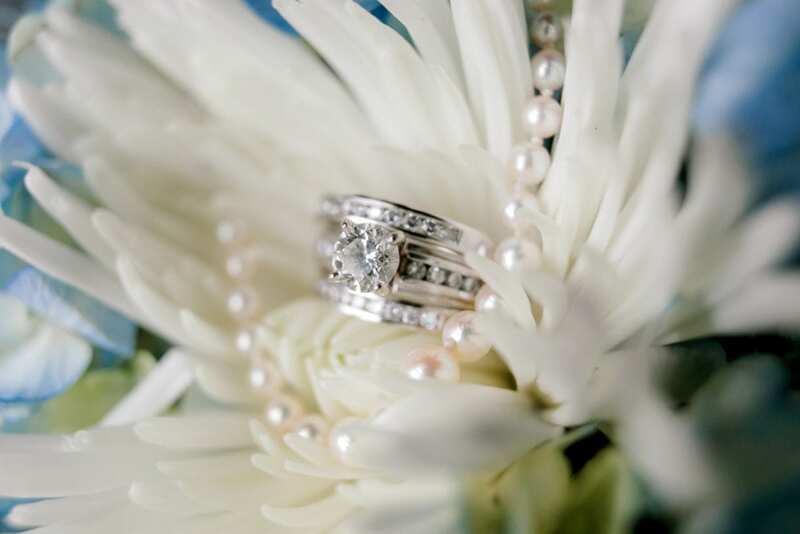 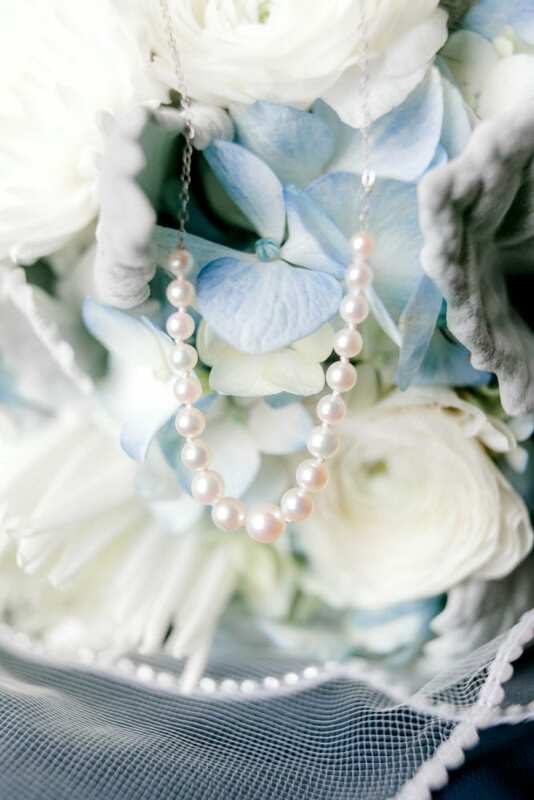 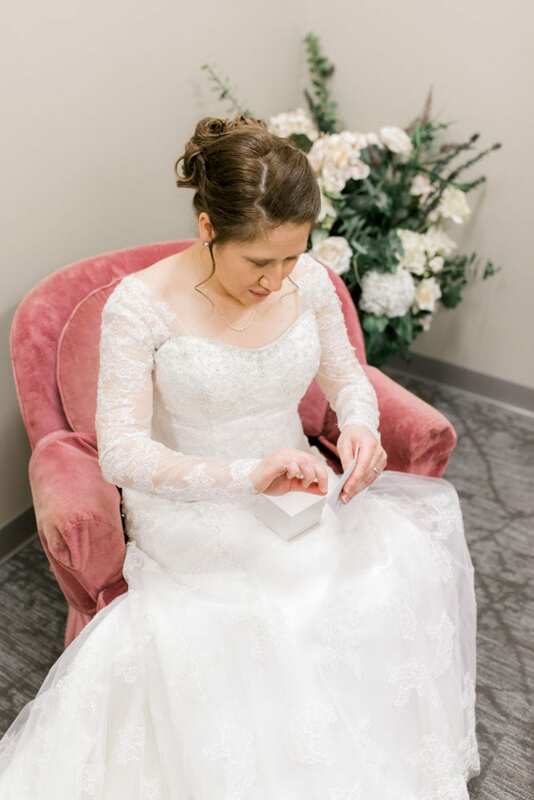 When I arrived I started the day with detail photos like always, Jill had a pearl necklace that had significance- her grandmother had gifted her a pearl every year on her birthday, leaving her with the most beautiful string of 19 pearls. 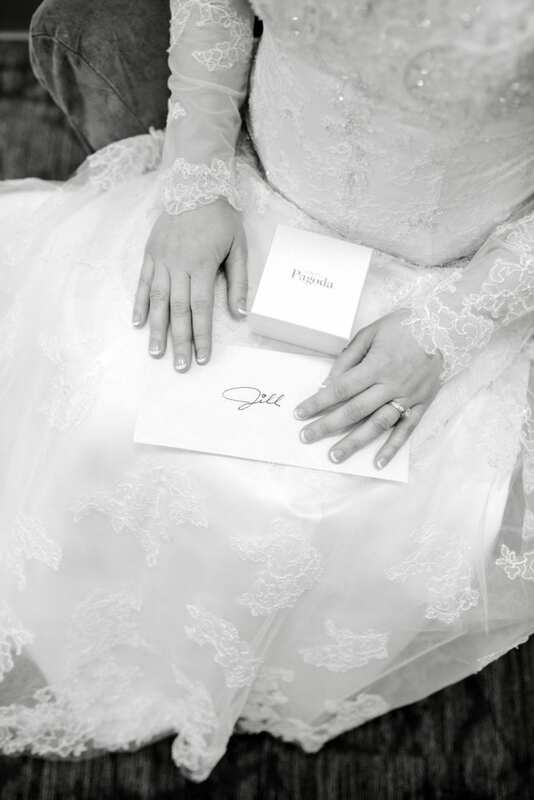 Such a sweet gesture that will last a lifetime. 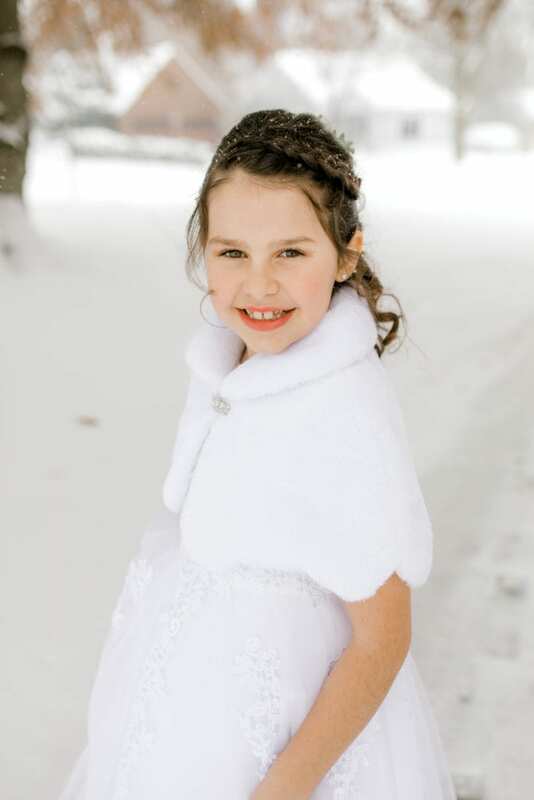 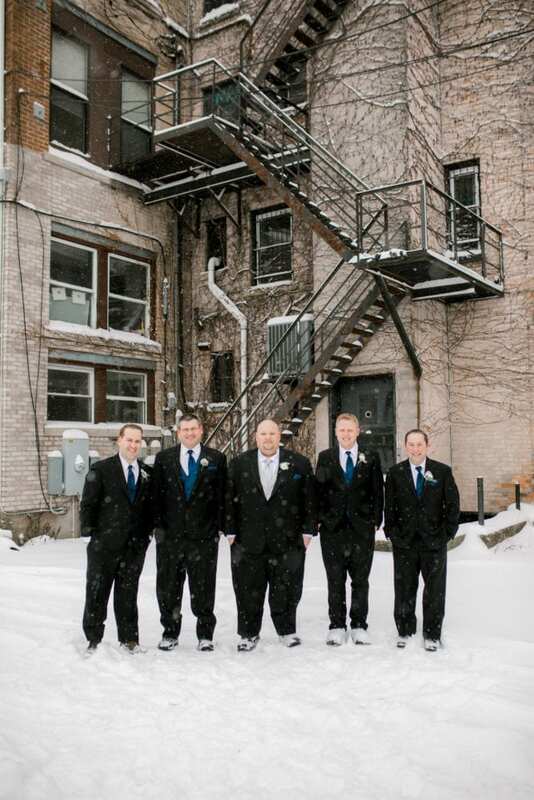 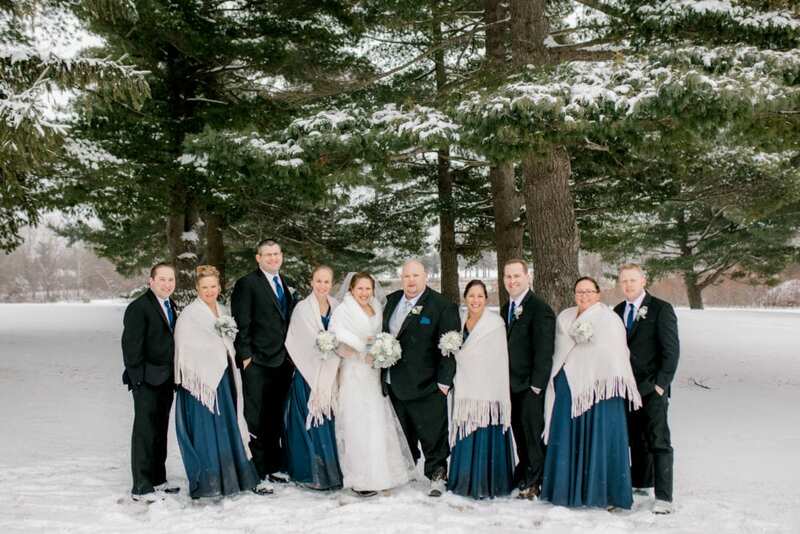 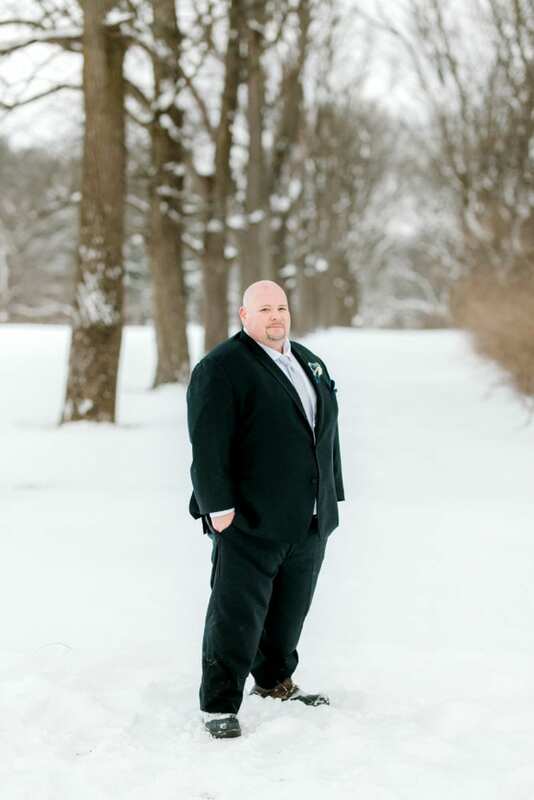 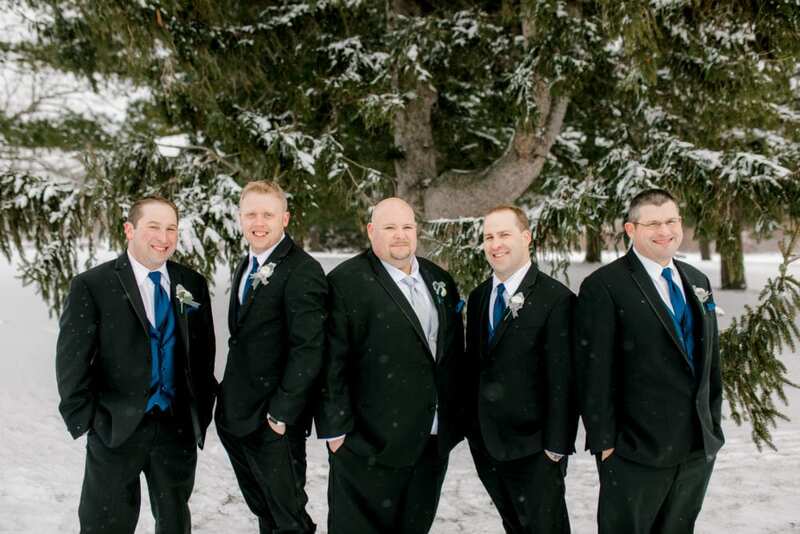 After their ceremony, we braved the snowy roads for photos at various locations throughout the Jackson area. 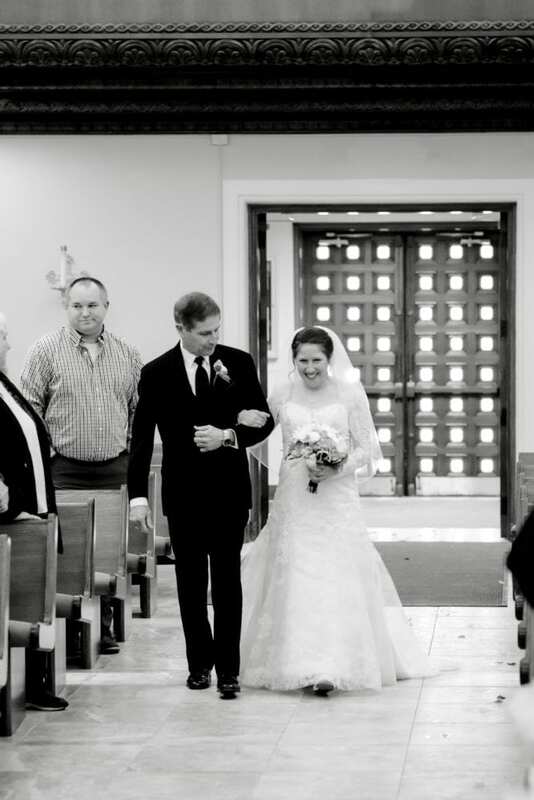 The first place we stopped was Jackson County Medical Care Facility to visit John’s grandparents. 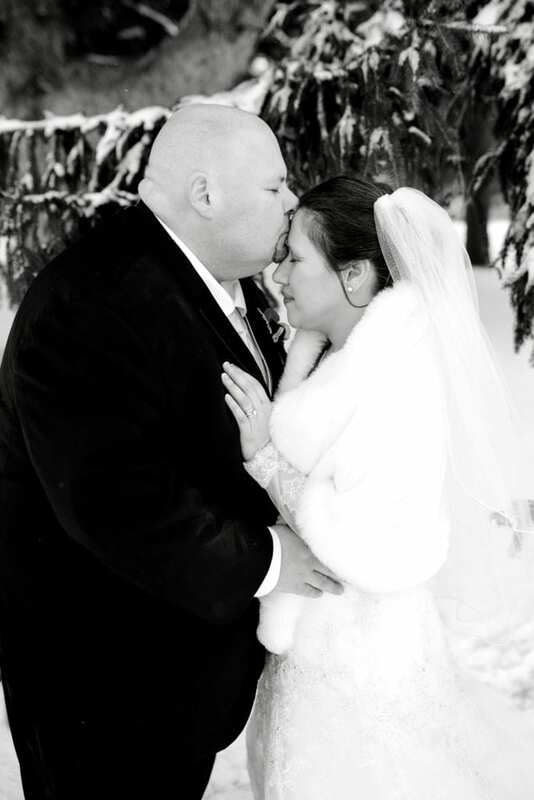 Talk about heartwarming. 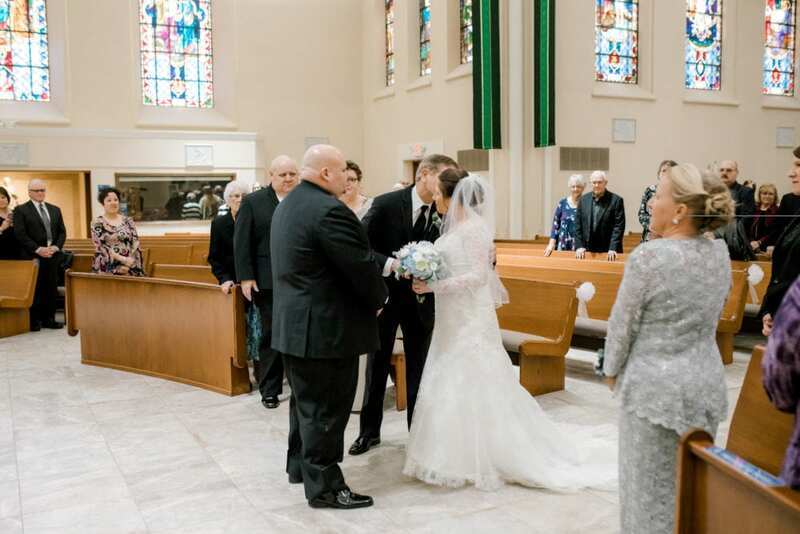 They were so excited to see them & were in awe of Jill’s dress & how beautiful she looked. 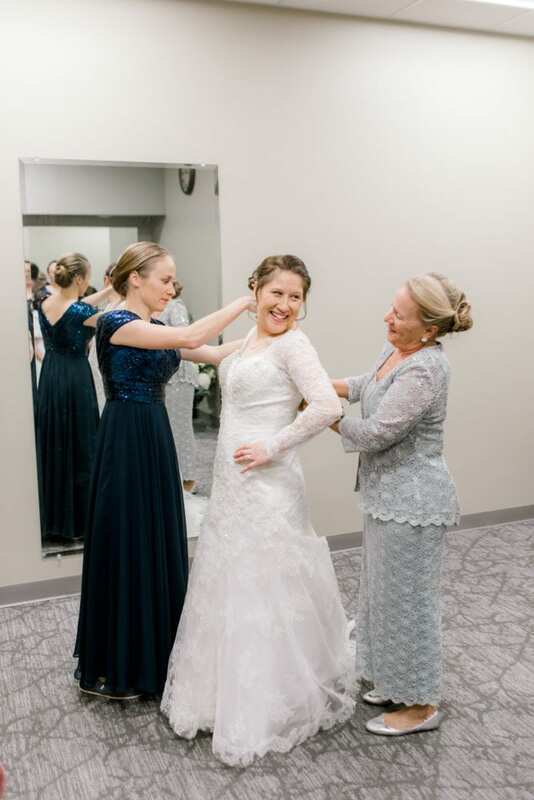 I think this was my favorite moment from the entire day! 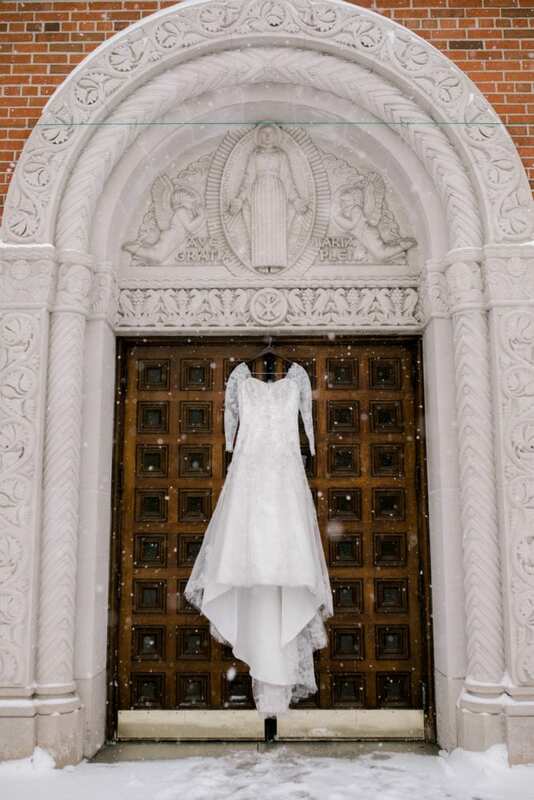 After photos we made our way to Ella Sharp Museum where their family & friends awaited them to celebrate their marriage. 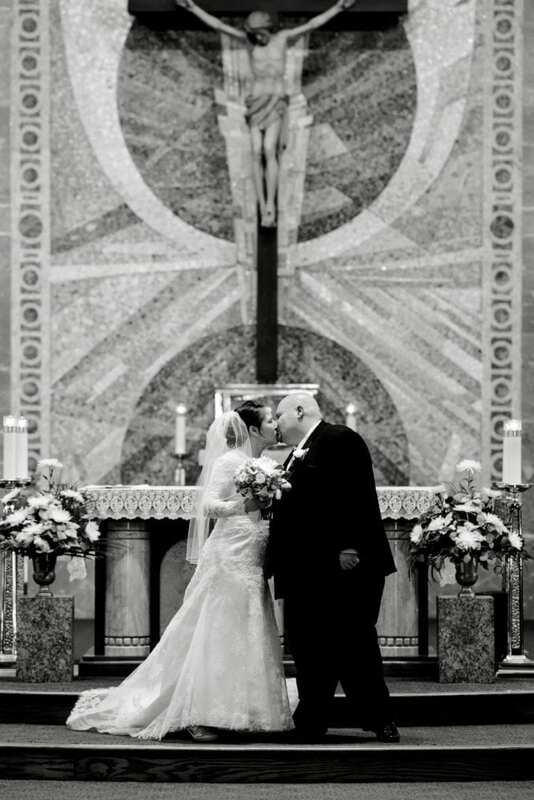 There we they shared laughs, danced & enjoyed a delicious dinner. 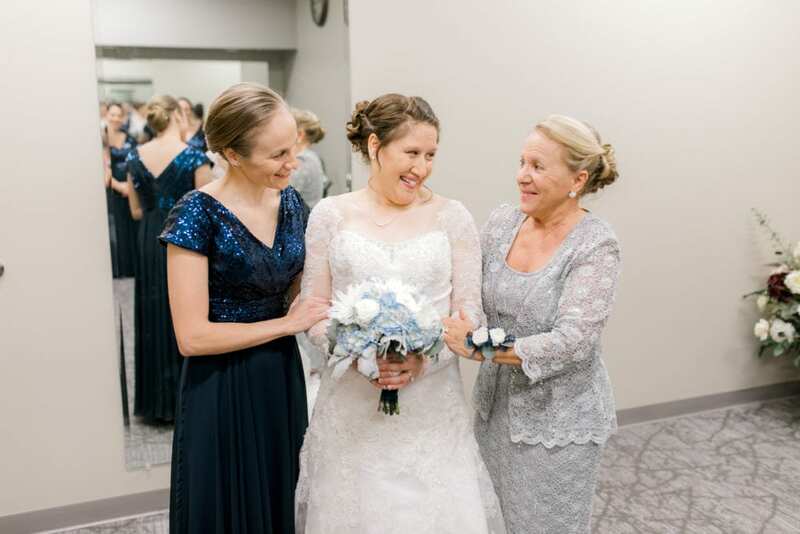 These two were such a joy to work with along with their family. 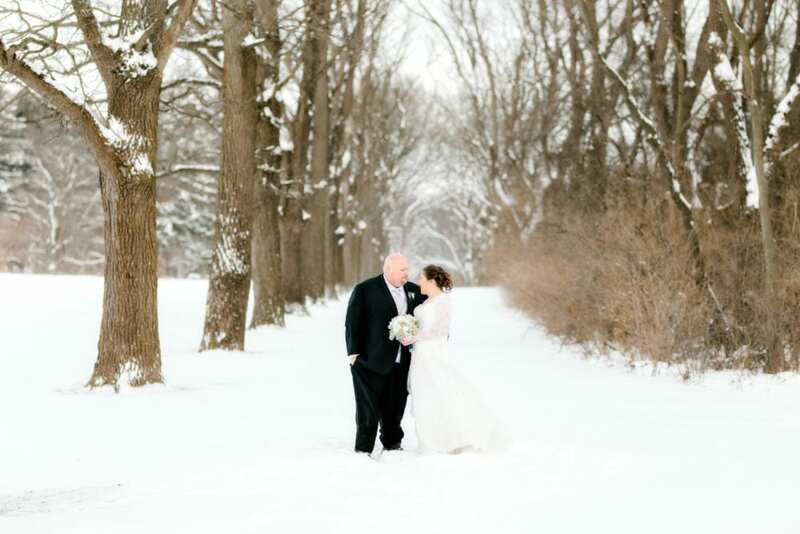 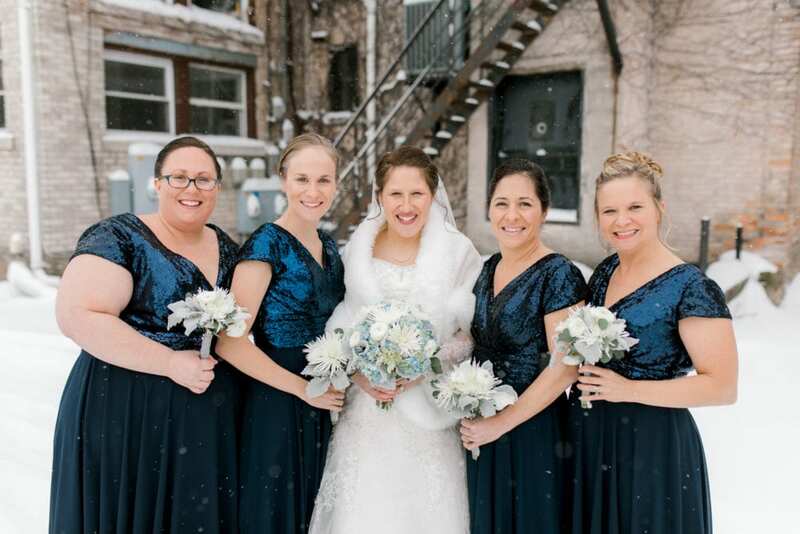 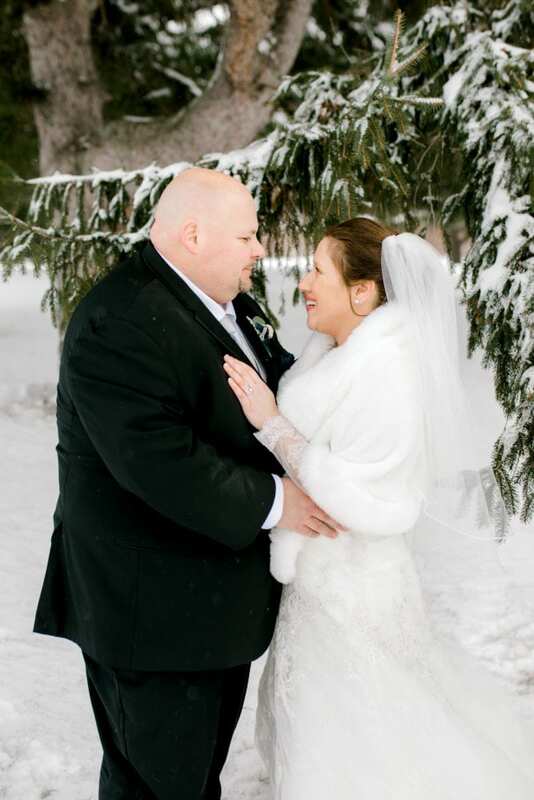 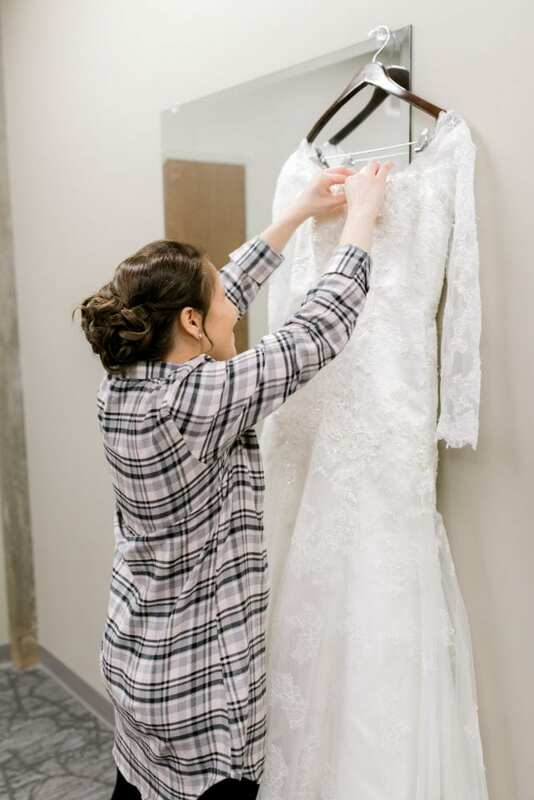 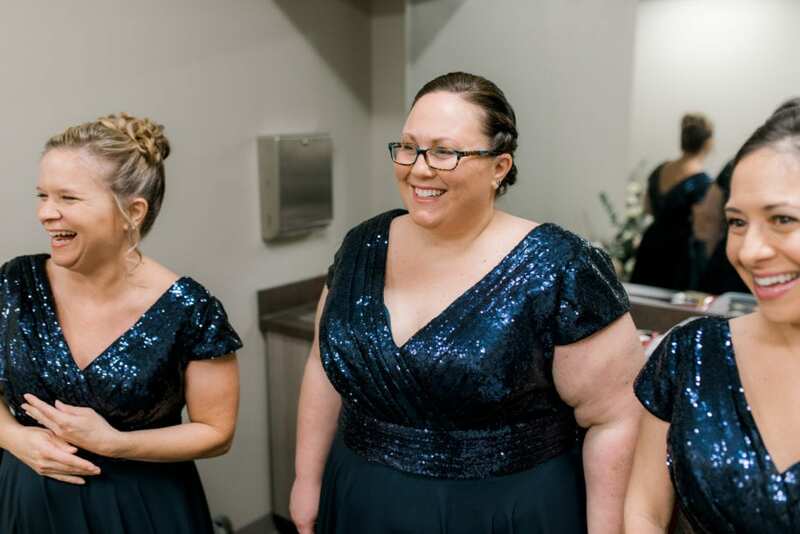 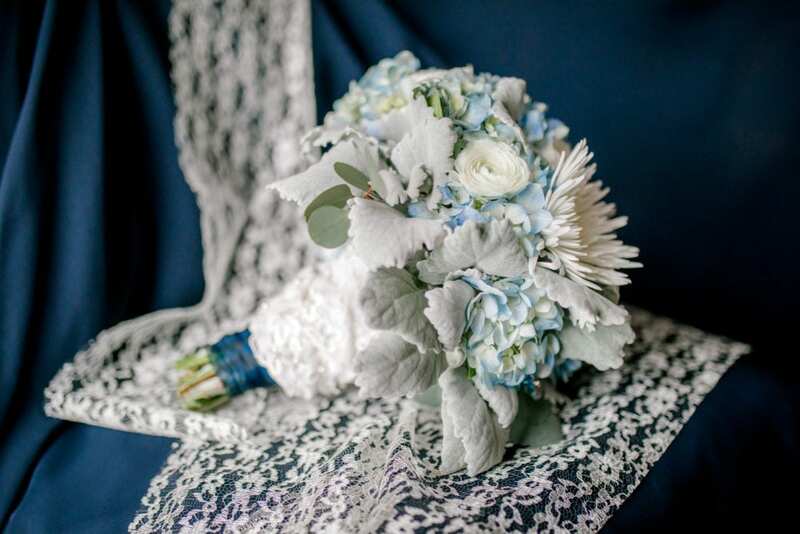 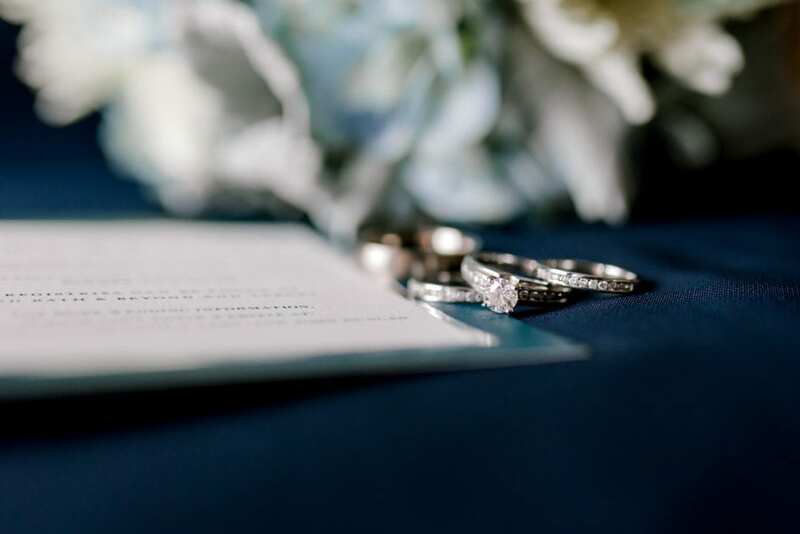 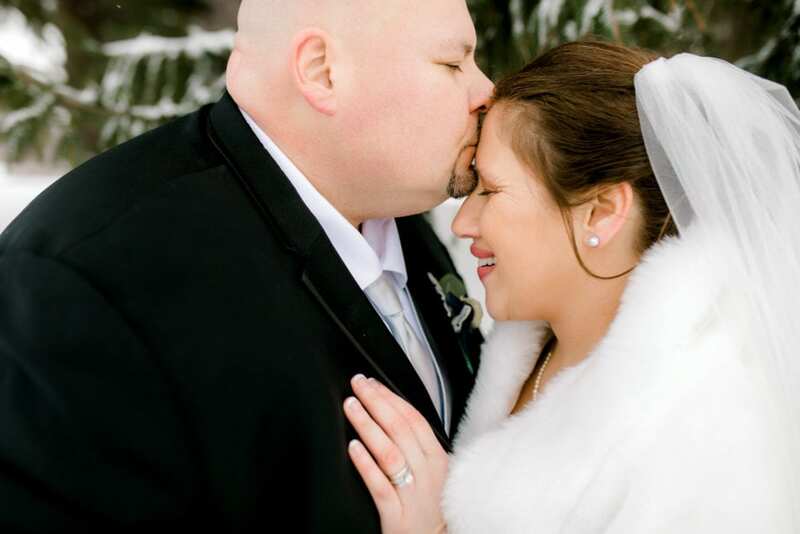 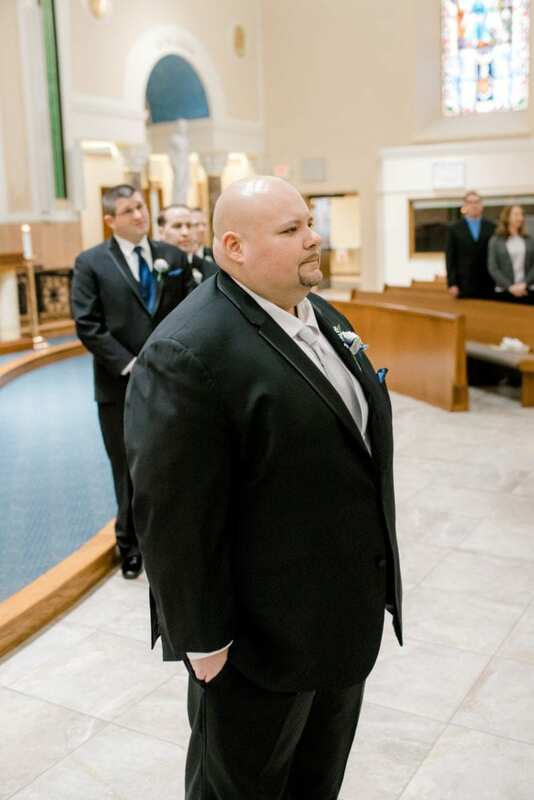 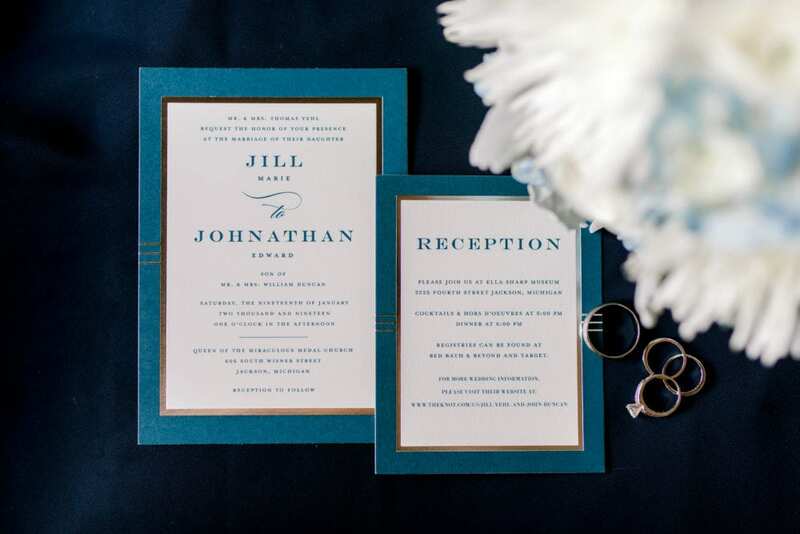 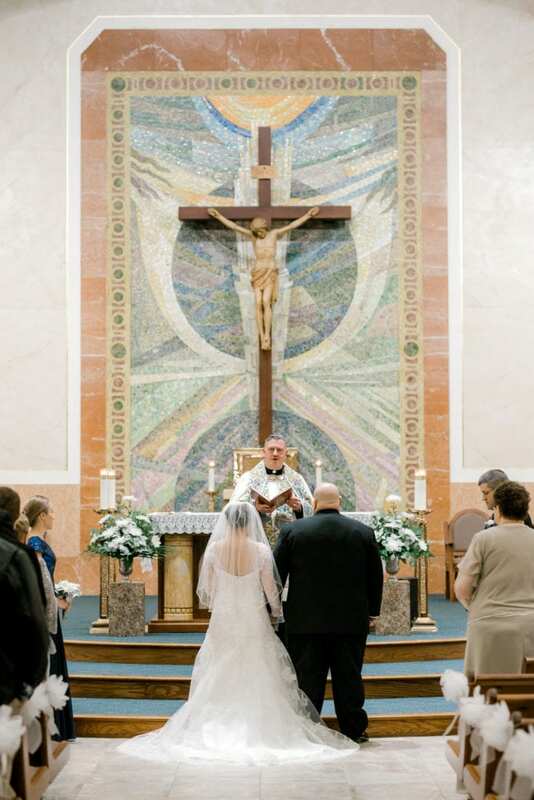 Enjoy a peek into their winter wonderland wedding day!